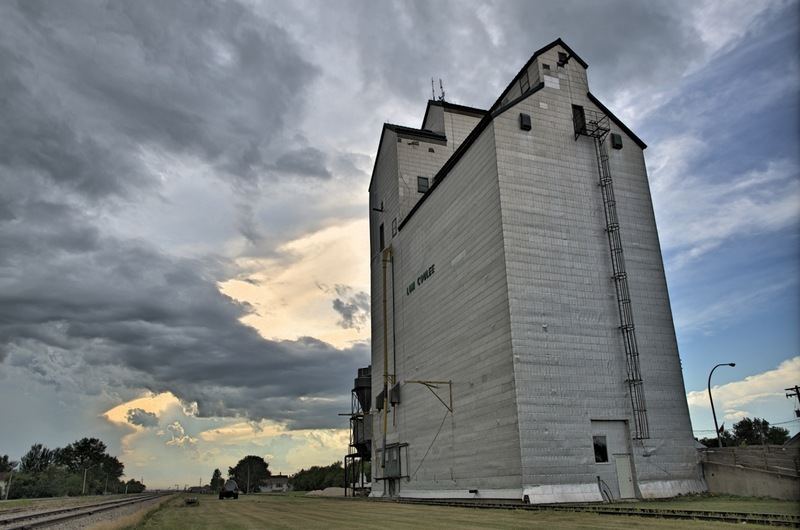 Watch the Central Plains Tourism Video on Rhineland, Manitoba! 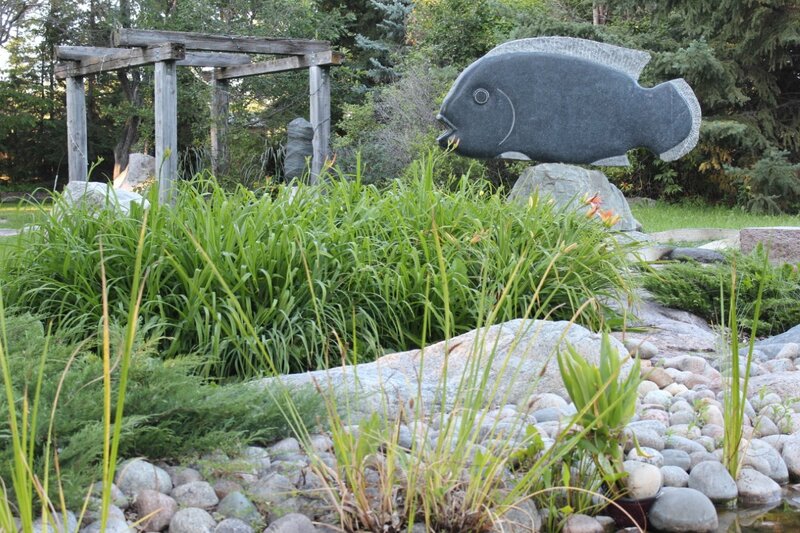 Todd and Lisa Braun live on a five acre site east of Altona that never fails to impress. Indeed, driving by, it may seem like just another tree-framed farmyard, but when you get past the front gate, the sheer enormity of the stones, and the lush foliage carry you to another time and place. The couple decided to open the property up for tours about 12 years ago. "People come here and see something they’d never expect to see in Manitoba, in the middle of a farmer’s field.” They host several tours a year, welcoming up to 200 guests each time. Call Lisa at (204) 324-1534 element@sdnet.ca for booking information. Late August to October weather permitting. Local Potter Barb Wiebe has been making beautiful clay pieces for more than 30 years. 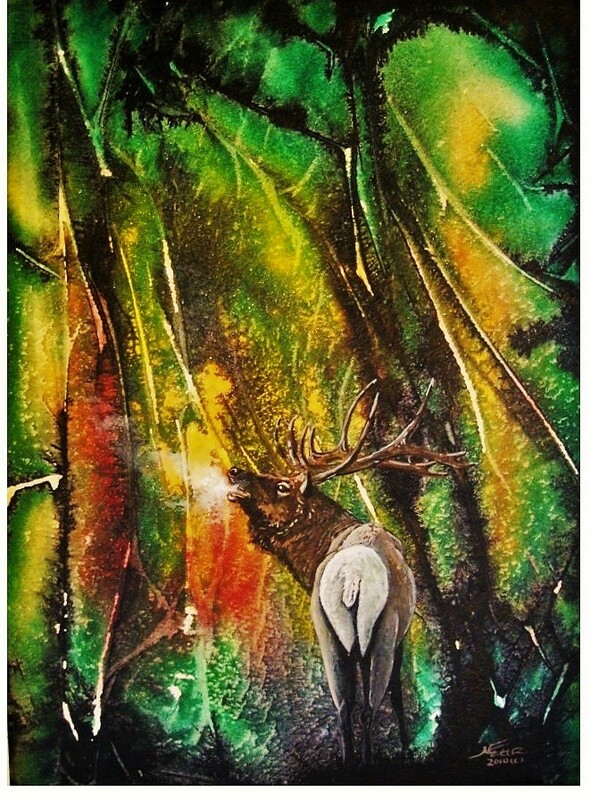 Her studio and acreage sit just outside of Altona and have been part of the Pembina Valley Artists Tour for many years. 2 miles south of Altona (Hwy 30), turn east onto Hwy 421 for 3 miles east on 421 to Neubergthal. Turn south into the village and look for the signs. 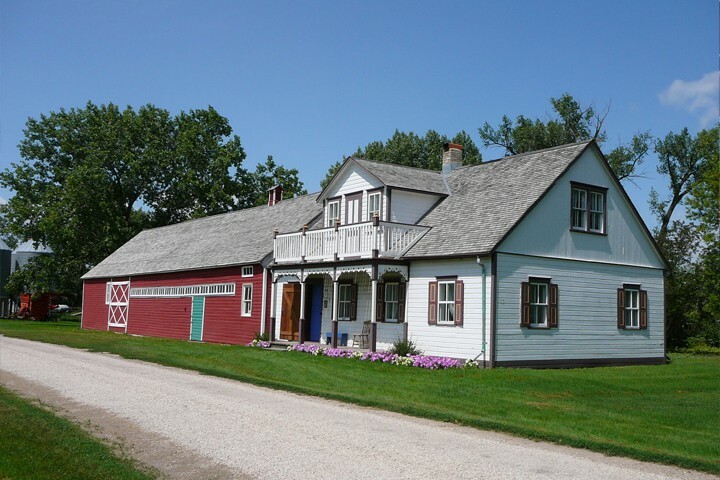 The Herdsman's House, located one hour south of Winnipeg, just off Hwy75, is a quiet and conducive place to retreat and create. The house is equipped with high speed internet, a fully equipped kitchen, writing desk, good natural light, and accommodations for up to four. Since the 1960s, the Gretna Peace Bell on the corner of Ninth Street and Montcalm has been a sentinel of remembrance of fallen wartime heroes. In its first incarnation, it was a school bell in the old wooden school house built in 1884. When the old school was replaced by a large stone structure, the bell took its rightful place in the new school. But after 1959 the bell was silenced when another public school was build across the street. 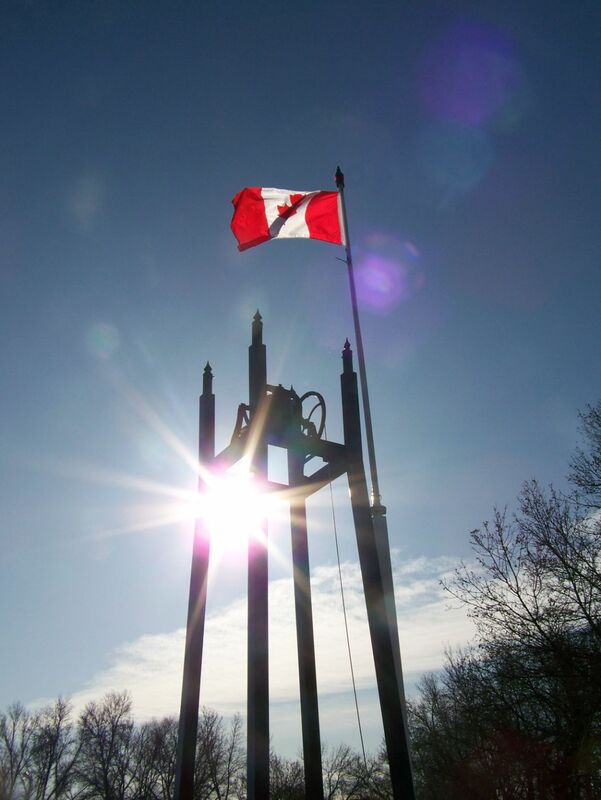 On Nov. 11, 1965 the old school bell was rechristened the "Bell of Peace” or Peace Bell, and officially dedicated during Remembrance Day ceremonies in honour of the nation’s war dead. The Peace Bell structure was refurbished in 2004. The Gretna Peace Bell now rings yearly, seen and heard by the public and groups represented by the Provincial and Federal levels of government at our yearly Remembrance Day Service. It is viewed by many tourists especially in summer. These tourists come from far and wide in the U.S.A. and Canada. 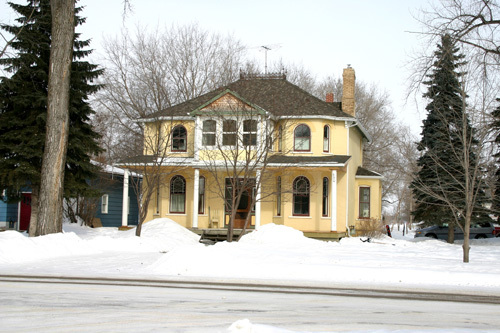 Enoch and Helen Winkler, notable participants in the immigration of Mennonites to Canada, built this house in 1894. Being fluent in German, Enoch joined the immigration expedition as translator and later used this house to entertain dignitaries. He was the first Reeve of the Rural Municipality of Rhineland and later served as Mayor of Gretna from 1898 to 1899 and again in 1901. He served for several years in the Manitoba Legislature for the Rosenfeldt constituency. Horse-trader Alexander C. Smith purchased the home in 1903. It sat on Lot 40 which, at the time, included most of the block and required a full-time gardener. The home stayed in the Smith family until the mid-1980s. Lester and Laurie Schellenberg, who have owned the house since 1989, have done extensive restorative work on the house. Architecturally, it exemplifies the Italianate style so popular at the time: bay windows, tall openings and eave brackets, as well as stained glass windows and 10-foot ceilings. The servants' quarters were removed in the 1930s, but otherwise the structure of the house remains mostly original including wide mouldings and heavy oak banisters and newel post. In 1874, during their historic trek across the prairies to bring law and order to Western Canada, the North West Mounted Police passed through this area. Their first camp site after leaving Fort Dufferin (Emerson) was two kilometers North of here in a bluff of oak trees, where the Oakview Golf Course is now situated. To commemorate the 125th Anniversary of the R.C.M.P. 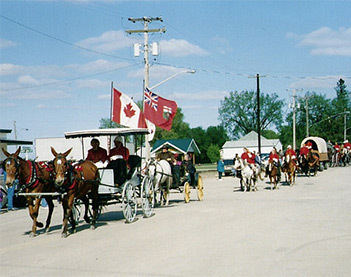 and the re-enactment of their March West in 1999, The Gretna had erected a 12’X16’ open style building with a peaked metal roof. Two gable ends featured murals depicting N.W.M.P. on horseback. Centered in the shelter is an exposed aggregate cairn with two bronze plaques. The building is located in town and is part of the Trans Canada Trail. It is also intended to serve as a rest shelter for people taking advantage of the trail. A challenging, 9-hole golf course complete with a driving range, as well as water and sand hazards. 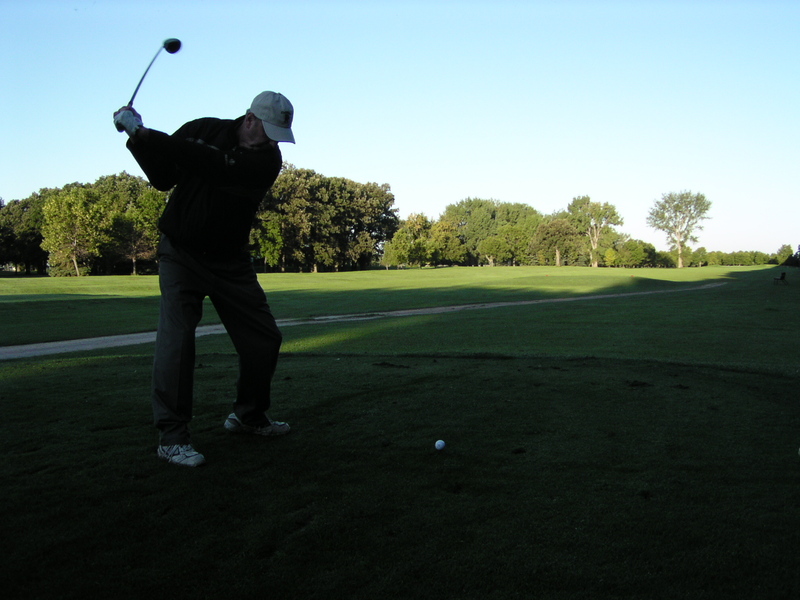 Set in a lovely oak forest, this course welcomes the novice or the pro. This beautiful rural golf course is set in an old oak grove and has been around since 1953. From its championship tees it measures in at 3218 yards over 9 holes and has many interesting challenges for golfers to explore. Among them is the long 528 yard third hole which requires two long shots and a well placed iron shot to reach the green. A large Cottonwood tree on the left side overhangs into the fairway and presents a real challenge on your second shot. The creek comes into play on holes number one, two and nine. It also acts as a backstop behind the eighth green, so don't go long on number eight. The eight hole is arguably Oakview's most difficult hole, because it plays as a very long par three. A trap to the right of the green, and overhanging trees on both sides of the fairway, can create tremendous complications in trying to reach the putting surface on this 219 yard hole. Once there, your putting abilities will almost surely be put to the test on the tricky two tiered green. The signature hole is Oakview's finishing 9th. Another par three, it cuts diagonally across the creek and is easily the most beautiful hole on the course. 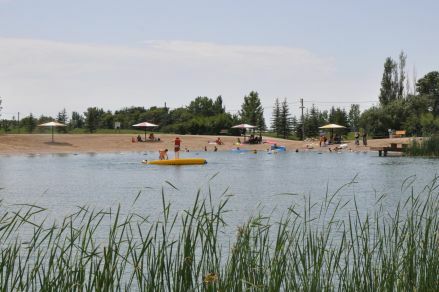 Oakview is located at 1084 Highway 30 about 9.5 kilometers south of Altona (just north of Gretna), and is just over an hours drive from Winnipeg. A 90-km section of the Trans Canada Trail crosses the Municipality of Rhineland and the Municipality of Montcalm. About 12 km of abandoned railway line is usable between Altona and Gretna. Outside the Perimeter and well beyond average, lies a brand new 470-seat concert hall, specifically designed to make the most of music and the natural voice. 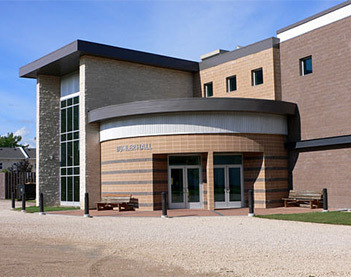 Buhler Hall is an acoustically superior performance and recording venue, and after an inaugural concert with the Winnipeg Symphony Orchestra (WSO), it is now available for recordings and performances. Buhler Hall's location in the inviting rural community of Gretna, is a bonus for musicians seeking a premiere, noise-free location for recording projects. Digital sound, professional grade lighting and 400 amp power supply are key components of the technical package; low-noise design principles eliminate echo and minimize vibration and distractions. Buhler Hall is the latest addition to the campus of Mennonite Collegiate Institute (MCI), an independent boarding school established in 1889. Jake Goertzen and his wife Junita have a vision to build a beautiful art gallery and sculpture park in Horndean and make them available to the public. Renovation of the former 3 classroom school is ongoing. The building has become their gallery and their residence. Jake has been sculpting for 27 years in scales that range from small to monumental. He began his career in clay, working primarily in figurative realism depicting common human figures. Also on display are sculptures in bronze, steel, plaster, and marble. His work uplifts the spirit and invites the viewer to become reflective about the beauty around us and to look beyond the physical to the deeper dimensions of life. Some pieces are highly evocative. The overall impression is one of the richness of human experience and human character. As time went on many of Jake’s sculptures were fabricated in steel. For this purpose he purchased a sculpture studio on another property in Horndean in 2004. As Jake makes his livelihood by commissions, many of the pieces he has created are not on-site, but are displayed photographically in a number of portfolios and photographic displays which can be seen in the gallery. 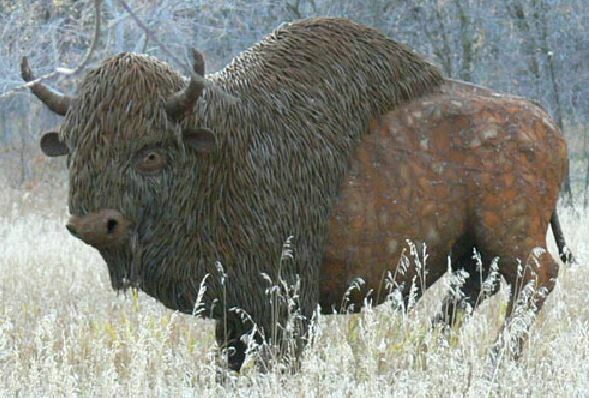 Some of his sculptures have become familiar roadside attractions in Manitoba. The over-life steel bison is located on River Road near St. Andrews. In Portage la Prairie the following can be found: a 12 foot long stainless steel eagle, a 9 foot steel great grey owl, an over life sculpture of Chief Keeshkemaquah and a wax sasquatch. 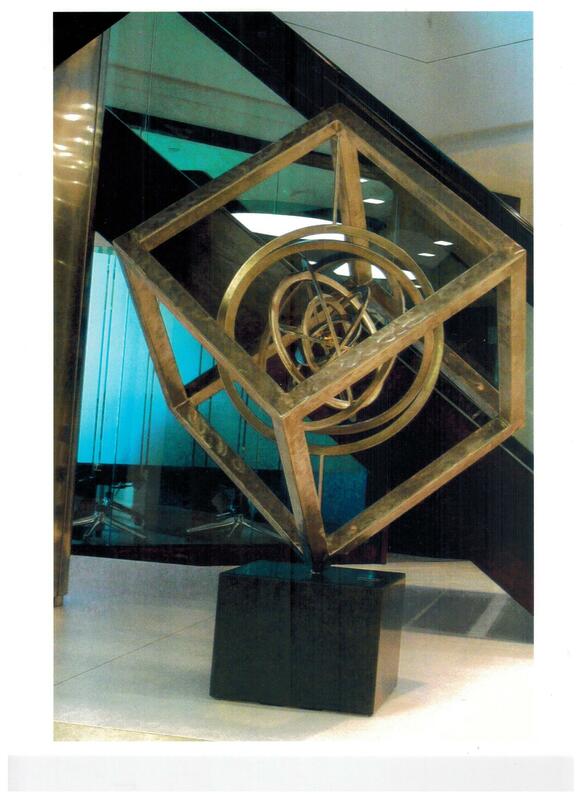 In Winnipeg his abstract "Balance" can be viewed in the waiting room of the Dominion Securities office on floor 31 in the Toronto-Dominion Bank Tower at 201 Portage Ave . In his Horndean sculpture park the 18 foot high "Song of Joy" sculpture has become a local landmark. The Sculpture Gallery is open by appointment or during Open Houses which are announced from time to time in email and online announcements. Admission is by donation. Construction began in 2006. This Main Avenue park is themed after the local railway history in Plum Coulee. Imagine a train back dropping the train station picnic shelter. Inside the shelter you will learn the history of the rail in Plum Coulee. 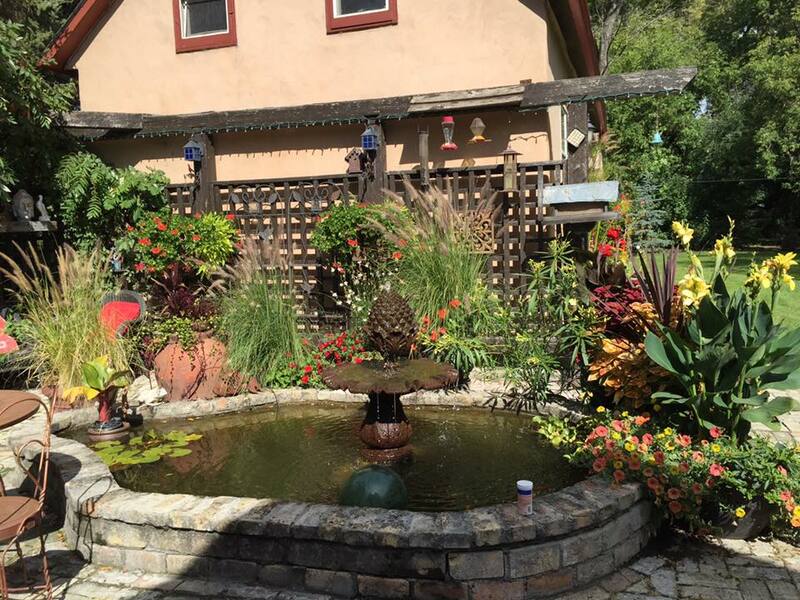 You will be able to enjoy the beautiful flowers and water fountain at the main entrance, and at the east end, the historic town bell. The west end, a sand in the winter, open air skating. Heritage Square was designed to be the town gathering spot just like the good old days in Plum Coulee. In the summer of 2003 four blocks of Main Avenue were given a much needed face lift. Decorative street lamps donated by local families and businesses gave the Main Avenue a majestic glow by night. Many people came forward and donated trees that will last throughout the years. The old tattered sidewalks were replaced with red brick and large flower beds were added to each block corner. The remaining local businesses stepped up and gave their store fronts a new look to complement the project. We invite you to come and see downtown Plum Coulee. In 2004 the old town water reservoir was given new life. It was drained, cleaned and re-filled with sand and water. Hundreds of trees were planted, docks were built, sun shelters added and the wild plum trees were brought back. It is now one of Plum Coulee’s finest summer hot spots and definitely an impressive backdrop. Local Plum Coulee antiques are proudly displayed in our Main Avenue elevator. It is open daily from 10 - 6, Tuesday - Saturday, all summer long. For tours contact Dorothy Derksen at (204) 829-3948 or Linda Dyck at (204) 829-7748 or Jake Dueck at (204) 829-3520. 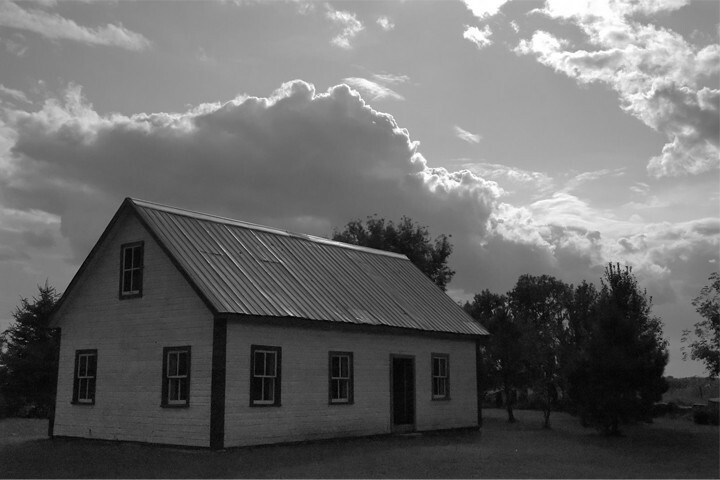 Neubergthal is a designated federally as a Mennonite heritage village and is an excellent place to visit and learn about the past ways of the Mennonite settlers. There are many excellent places to check out including the Friesen Housebarn, the Hamm Housebarn, the commons yard, the Eddie Schmidt Housebarn and the Albergthal School. Tours can be arranged by contacting the Neubergthal Heritage Foundation at (204) 324-4115. Established in 1889, MCI is an independent, residential, Christian high school located in Gretna, MB on the Canad-US border. MCI is known for it's outstanding Music program. Guests are welcome to attend our spring and fall musical/drama productions, Christmas concerts in December, and Sangerfest, our annual music festival in June; all held in Buhler Hall. MCI offers a a fully accredited Manitoba Senior 1 to 4 high school program. It is open to students from every race and all religions coming from across the province and around the world. Graduating students find they are academically well prepared for further college or university education. More importantly, they have learned to serve others and have offered a faith perspective that can lead to a life well lived.